Solutions to save money and deliver value. Recognising the current environment of reduced resources and budget cuts, the corporate areas are often a target for further rationalisation. This is where Zen Enterprise can help. 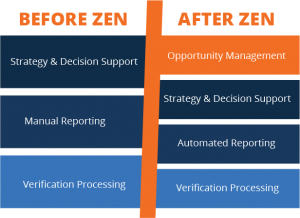 Zen Enterprise offer a comprehensive solution focussed on delivering clients a positive ROI in a rapid timeframe. 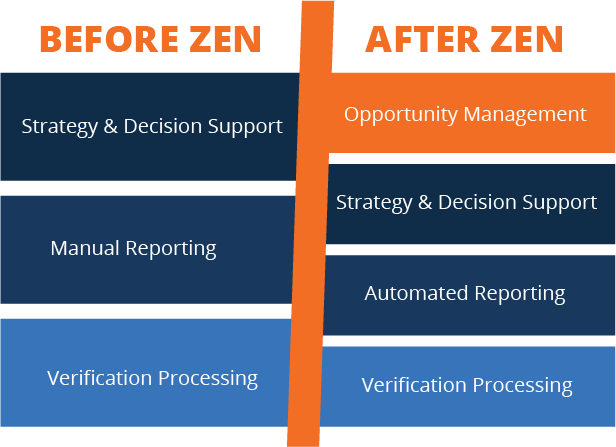 ZEN IT Service Management is a combination of software technology and management consulting services designed to support the IT Service Management framework through the application of automation, discovery, business acumen and ITIL (IT Infrastructure Library).